Update: Soon after this blog post was published, eBay has reportedly banned 'Amazon drop shipping'. I discuss this practice further down this post, under 'Different Dropshipping Models'. "Hi Jordan, I want to start dropshipping - you know, find an Amazon item online, post it on eBay at a higher price, then when its sold, I want to buy it from Amazon and ship it to the eBay buyer." I'll cut to the chase: That business model is a crappy one. It's high risk, with typically razor-thin profit margins (if any profits at all), and eBay and Amazon will penalize or ban your seller account if you get caught. (It's happened). The reality is many sellers are doing that type of dropshipping - if you even want to call it that - anyway, because it's "easy." And in this business, when something is that easy, it's destined for failure. There are other forms of dropshipping. But even those are generally high risk. Don't believe me? About a year ago I tried to do dropshipping the "right" way, and even I got burned. Let me explain. Last year, an aftermarket water filter company contacted me. They make replacement water filters for the water dispensers on refrigerators. They wanted an established Amazon seller to sell their water filters on Amazon. Like most "real" dropshipping arrangements, it would work like this: I post the company's filters on Amazon, under my seller account. When an Amazon customer places the order, I create a packing list and shipping label (I pay for the postage), which I then email to the company. The company then prints outthe packing list and label, and fulfills the order. Profit example: The customer would pay (say) $24 for two filters, and after my expenses (postage, Amazon fees, and the purchase price of the filters), I would pocket the difference. That profit turned out to be about 10 to 15 percent per order. (That's where I should have stopped. That's a pretty low profit margin). But, I thought, let me see if I can make this work, perhaps find a way to increase the profit margins, and then outsource it. If it fails, I would be able to write about it for my readers. So here we are. For a couple months, things went pretty smooth and I was making a few bucks for very little work. It was quite simple. But then, Amazon customers started angrily emailing "Where's my order"? I was sending the orders to the water filter company on time, for them to fulfill. When I looked at the USPS tracking numbers (from the postage labels I was generating), it didn't look good. At least 12 orders showed that they were never picked up by USPS. Now, I've NEVER had a problem with the postal service. At least not problems for 12 orders within 1 weeks' time! I called my contact at the water filter company and all he could do is shrug his shoulders and say "Well, we filled the orders. It's the post office's fault." I beg to differ. I think the company lost my orders. In Amazon/eBay's eyes, or a customer's eyes, if an order isn't filled, or filled incorrectly, it's your fault and you will be penalized. If you sell via dropshipping, if an order isn't filled, or filled incorrectly, it's your fault - not the dropshippers - and you will be penalized. So with my story (and any efforts to dropship) firmly behind me, let's talk more about dropshipping. You don't need to head into the office at 7 AM every morning to get the job done. Simply put, you can work from almost anywhere. You don't have to worry about packaging or shipping out products - your suppliers will handle that for you. Your job is optimizing the listings, marketing your products, and providing customer support. All you need is access to the Internet. The buyer pays for the item immediately. That money will sit in PayPal or Amazon until the customer has the product. So, you'll need a small amount upfront to purchase the item from your supplier and have them send it to the customer. Once the item arrives at your customer's door, that money is all yours again - plus the markup that the customer paid to you. dropshipping requires no inventory, making it an ideal business model for anyone who may not have thousands of dollars to spend on items to sell. (But that doesn't mean there are lots of profitable opportunities). There are millions of products available for you to dropship. You won't have to store anything and you won't have to stick to a specific niche unless you want to. List each item and then let your sales data figure out what you should focus on. You can scale your dropshipping business easily compared to other business models. Since you don't store or ship inventory, you will do the same amount of work for a $5 sale as you will for a $1,500 sale. As a dropshipper, you don't pack the orders you sell. This means that if the supplier fails to ship the item, and/or it arrives bent or broken, you're going to take the heat for it (like my experience above). It might be frustrating to not be able to personally make sure that your orders are packed correctly. Additionally, you don't have direct control over shipping times. There is very little you can do about this because your suppliers are likely on the opposite side of the world. Shipping speed is important to customers. You'll have to be upfront with them when listing items about how long of a wait to expect before they receive the product they ordered. Generally, you cannot epect quick shipping times. You'll have to cope with your supplier's shipping rates and policies. Since almost anyone can start a dropshipping business, well, many people have. The market is saturated with people trying to get their piece of the pie. In order to become successful with this business model, you will have to work much harder, faster, and smarter than your competition. And if you're thinking "I'll just do it cheaper than they are", you're among 10 other sellers trying to do the same thing. That was an overview of dropshipping in general. But dropshipping exists in two major orms. Each has its pros and cons. Let's cover the most common types of dropshipping models. This is where I bombed spectacularly (above). It's very rare, and almost never easy, but it's the only legitimate form of dropshipping. If you pursue it, you'll speak directly with the supplier who manufactures your products, creating a personal relationship with them. Then you list the items online and order the product from your supplier each time you make a sale. They ship the item to your customer. You'll have a personal relationship with the people who manufacture your products. This can be powerful. If you find a supplier who truly cares about your mutual interests, they will go to great lengths to see you succeed - because you're bringing them good business. For example, after you've established a relationship with your supplier, they might give you a special deal on merchandise or work with you to improve the packaging. You're providing value to your customers. This applies to selling items dropshipped from China. Eastern business ethics and practices are very different than U.S. customs. In many cases, if a U.S. consumer were to order a product from a Chinese manufacturer, they would receive little to no customer service. Additionally, if there was something wrong with the item upon arrival, most Chinese manufacturers would ask the customer to ship it back to them before refunding them for their purchase. Usually, they don't pay for the return shipping. In the U.S., it's expected that the seller maintains all responsibility for faulty items. The customer didn't do anything wrong and shouldn't pay for the return shipping. By creating detailed and captivating listings that are relevant to a Western audience (something most International suppliers don't have the capacity to do) and providing excellent customer service, you are making your products more accessible to people who may not have found them otherwise. This is a valuable service. It's difficult to find good suppliers. Finding a supplier who truly cares about your success will prove difficult. You'll probably have to work with quite a few - and for an extended period of time - before you find a supplier that goes the extra mile. What you want from an ideal supplier: Good communication, trustworthy, quicker shipping services, low-cost shipping, willingness to work with you, and whatever else that you feel is important to your business. You won't find your favorite supplier on the first attempt. There's significant room for human error. You're handling some of the processes, but not all of them! If the supplier accidentally fails to communicate its stock levels accurately, you run a risk of selling an item that can't be fulfilled. And if you're selling the item on Amazon, being out of stock can be the kiss of death for your life as a seller. Canceled orders will get you bad reviews, fast. So, the last thing you want to do in this situation is to cancel - you'll pay for it in the long run. Consumers will avoid buying from sellers with bad reviews. In the event that your customer purchases an out-of-stock product from you, you'll likely have to source it elsewhere and possibly lose money. Building relationships with suppliers will require a lot of time. Working with humans means that you'll need to communicate well (and often). In order to build a meaningful and mutually beneficial relationship with a supplier, you consistently have to be in contact with them. You'll have to communicate via email, Skype, phone, or whatever the supplier works best with. This requires significant effort and attention, but if you manage to create a strong relationship with the right supplier, it will pay off for both of you. 2.) Dropshipping from Online Retailers: Amazon, Walmart, eBay, etc. This model is one that I first mentioned above - the requests I get all the time from online sellers. It is where you, as a seller, source an item from one of these retailers that is selling for a higher price on another site. For example, it's possible to make a profit - albeit a small one - by listing an item on ebay, and then ordering it from Amazon once it sells. You'll make the difference between the prices on the two platforms, but not without huge risks. Below are some advantages and disadvantages of this business model. There's a low barrier to entry. You won't have suppliers to communicate with. Instead, it's just you on your computer, sourcing products with profit potential. There's very little else for you to do. There are multiple suppliers for each item you sell. If one listing runs out of stock, you can usually fulfill the order from another one. You'll be able to find multiple sellers for the same item on eBay and Amazon quite easily. You can automate most parts. Almost every aspect of this business model can be automated: Sourcing, listing, pricing, fulfilling, and more. There are quite a few tools available that will automatically complete these tasks for you. (I've never tested nor investigated them myself). The only thing you'll have to do yourself is providing the customer service. Expect an overabundance of the same products being sold. Since it's so easy to begin dropshipping with this model, you'll see a lot of the same items being sold. It's difficult to gain a competitive advantage in this oversaturated market. It's not a sustainable business model. Due to the sheer number of sellers using automated tools to dropship items from one online retailer to another, the profit margins are minuscule. You will have to see a large volume of sales with minimal returns and issues in order to do well in this space. You're not creating any value. The more value you create for the world, the more successful you're likely to be. Dropshipping items cross-platform like this doesn't create much value, so don't expect massive profits pouring into your bank account month-by-month. Thousands upon thousands of sellers are already using this business model because it doesn't require any innovation. It requires very minimal work on your part compared to the first method of dropshipping. Consequently, you're probably not going to hit it big here no matter how good you are at it. The entire model is against the interest of the platforms you're using. It's highly likely that sometime in the near future, online selling platforms will make it more difficult or impossible to pull off this model of dropshipping. eBay, for example, is not happy with this trend and will likely begin to take action against sellers who list on ebay and source off of Amazon. While online retailers recognize dropshipping in general as a valid business model and support it, they do not condone this method of cross-platform exploitation. You can read eBay’s rules on what types of dropshipping are/aren’t allowed here. Amazon’s similar rules on what is/isn’t permitted are here. It's nearly impossible to beat the automated solutions and earn a profit manually. Again, hundreds of thousands of sellers looking to turn a quick, small profit online are using automated software solutions to list and fulfill items every day. Quite simply, there is no way to beat them without using automated software yourself. Even once you begin using these programs, you're competing against people who are using the same software as you. Profit margins are becoming slimmer and opportunities are becoming fewer as more and more sellers begin using this model. You'll have to have a huge volume of sales to make a profit doing this. We touched on this previously, but it's worth repeating. With dropshipping, large sales volumes are difficult to reach and difficult to maintain. Platforms like eBay, Amazon and Walmart limit your seller's account until you've built up an adequate amount of positive feedback. Once you have proven yourself as a valuable seller on each of these platforms, you'll probably have to spend months actively perfecting your personal system before you see any kind of large sales volume. Then, you'll have to somehow scale that up and maintain it. Keep in mind that the market becomes more oversaturated by the day, as new sellers begin using this dropshipping model. If not Dropshipping, Then What? Dropshipping has far more cons than pros, so avoid it. But remember, you can still have a legitimate e-commerce business no matter where you are in the world - without physically touching any products. Unlike dropshipping, though, those products are yours, meaning - in short, you buy them in bulk and resell them at a profit. There is no luxury of not having to buy the product first. However, using fulfillment warehouses means you can have your products shipped in bulk to the warehouse, and when you need to fill a customer order directly, or if you need the products shipped to an Amazon FBA facility, the fulfillment warehouse takes care of that for you, for a reasonable fee per unit. If you're outside the U.S., start here. All prices above are subject to change. Also, I'm an affiliate of a few of those solutions, so I may be compensated if you end up purchasing them. Excellent article Jordan. I do drop ship on amazon & eBay a little but you have to be VERY careful. With amazon, your margins have to be pretty good. One item I sell is around 40%, so a pretty good profit. I also have an online store that is full dropship. Only dropship from a valid source & watch your inventory like a hawk. That one item that goes out of stock while your not looking WILL be the one that is ordered next. I also only dropship items I can pick up quickly at a local store in a pinch. Don’t do the Amazon to eBay thing. Its just not a good business model. Thanks for sharing this Donna! Yesterday, (gift recipient) received an item that I ordered from you on eBay. Based on packaging and the mailing label, this order appears to have been fulfilled by AMAZON. Had I known this order would be fulfilled by Amazon, I would not have ordered from you: I have never had an Amazon account, don’t want to give Amazon my personal data (including my e-mail address, PayPal/financial information, and items ordered), and certainly don’t want to contribute to Amazon’s profits/centralized control. If I wanted to buy from Amazon, I’d order directly from Amazon. Perhaps drop-shipping/using Amazon order fulfillment is technically legal, but it is absolutely not ethical. Personally, I consider it a category of fraud. I have had a lot of success in drop shipping and have been working in many years. 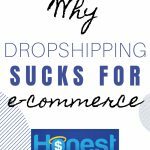 The cons you’ve described in your article about drop shipping are right on- It can be harder than it looks. But I think, with some dedication and good systems it’s a great way to source products and make more profit. All is depends on the software or service you’re using. I think drop shipping should be adopted if it manages all the aspects of order and inventory details properly. Thank you, Jordan for this highly informative and enlightening article. Thank you for the feedback Joe! I may have missed it (the post was pretty long), but there is one program/course advocating making an eBay sale and fulfilling using your Amazon prime. When (not if) Amazon finds out (they will) say goodbye to you relationship with Amazon (buyer and seller accounts). Yes Jason you’re right, also I heard eBay is penalizing their sellers too for doing that (using Amazon to drop ship it to the buyer), although I can’t verify it. Jordan, thank you for the excellent article. I have been considering “dropshipping” the past couple of months, but after reading your very well considered article I am going to pass on this model. It is all the rage right now, but as usual, it is just more smoke and mirrors. Glad I could help Ken. Usually when something looks ‘easy’ and is simultaneously pitched by hundreds of companies, it’s ‘buyer beware!’. I’m surprised that’s the sort of drop shipping you get inquiries about the most. Most e-com ads I see these days are for dropshipping with Aliexpress through a Shopify store, not Amazon or Ebay. Michael that type you mention is probably a ‘close 2nd’! Excellent article Jordan. 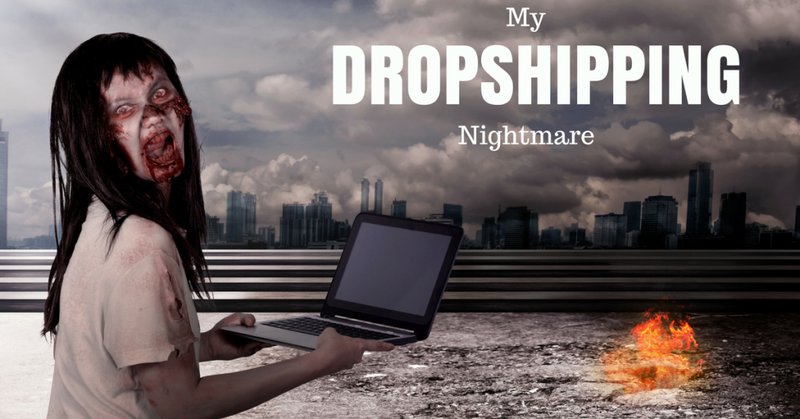 The “dropship” culture is really being pushed right now. I do a little dropshipping (about 24-36 items) on the side. It can be tricky business, especially with customer returns. Thanks Dave. You hit the nail on the head. 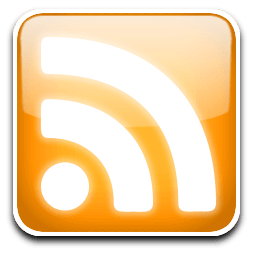 Hi Jordan, I have been doing the business model you mentioned in the very last part of your blog, and it works great. almost 4k in 2 months. I agree with the statement of you will never make it big if you only stick to no barrier to entry methods and models. They can be used for some startup money for methods that most people are too lazy to try and even follow through with. Take notes everyone, never be the majority. Awesome Nick, thanks for posting! The image you’ve chosen for this posting is perfect. I purposely haven’t done any drop shipping because of the cons you’ve written about. Why would I want to subject myself to that and risk my ebay or Amazon accounts? There has been a big push lately for d/shipping from Shopify and also some guru’s taking advice from a guy that is in clear violation of Amazon’s TOS. Don’t care how he has done up till now, it won’t end well, as you know. By my standards his ROI isn’t worth it anyway. Good post. Love your stance, keep a level head and do it right, works out better in the long run. Hey Jay, thanks for the info and the feedback! Previous post: Am I wrong about not offering you $3,500 coaching?